Easy to use popcorn machine with cart. Let the smell of hot buttery popcorn capture your guests' attention. The popcorn popper is perfect for carnivals, birthday parties, or picnics! Supplies come with popcorn/oil/salt kits and bags. Rent a top quality popcorn machine for your next party. 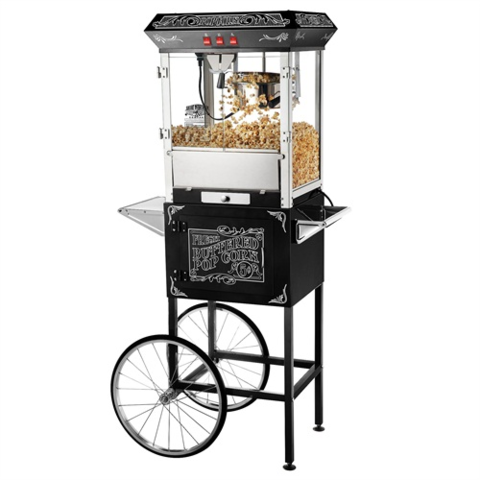 The popcorn machine will do all the work, while you and your guests enjoy the smells of theater style popcorn.